Today it’s all about one of my favorite topics: Korean medicinal skincare aka hanbang. 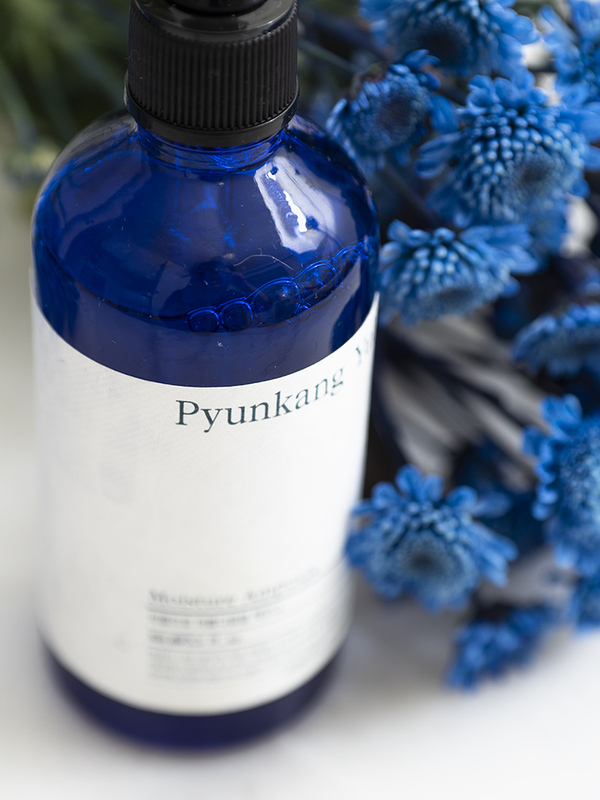 In March I did a post (read here) about hanbang, fermented skincare and an interview with my lovely friend Lisa aka @beautybemused, I hope you check it out first. Lisa is also the creator of Be Mused Korea, a beautifully curated K-beauty shop that ships worldwide(!!). After the interview she asked if I was interested in trying a hanbang line from her shop called ATOCLASSIC - a herbal brand that aims to combine maximum efficacy with safety for all types of skin.. and of course I said yes. Today I’ll introduce you to the Calming Intensive Cream**! ATOCLASSIC is a Korean ‘hanbang’ aka traditional medicine brand that has dedicated their research for over 3 generations around traditional herbs, roots and leaves. Their product development focuses on maximum efficacy and minimal active ingredient loss, while still being extremely low irritant, sensitive-skin friendly. Their Calming Intensive Cream from the Real Tonic line is meant to be used as the last step in a routine. Comes in a 50 ml / 1.7 fl oz jar with a spatula, retailing $42 / €~36.85 (currently on sale on BeMused Korea). It had been a while since I’ve used a cream that’s in a jar and oddly, I’ve kind of missed it. Although I prefer air-tight containers for all of my skincare, there’s something luxurious about jars. Balms, creams and gels feel just that little bit more luxurious when you take them out with a spoon or a spatula. The rose gold and white colors of the jar packaging also make the cream feel more expensive. I have a dry skin so I love oils and creams, but don’t like a tacky or greasy residue on the skin (say, like Weleda’s Skin Food). ATOCLASSIC’s cream feels almost whipped in texture as it is very light to touch, but packs a good amount of moisture and hydration to the skin. I feel I can use this both day and night: it sits nicely under SPF and makeup, but can be topped up with an oily balm if you want that extra amount of moisturization. I do feel the cream plumps my skin and I can double it as an eye cream without my eyes getting puffy. The scent is very light and a hint of floral, but pretty unisex to my nose. The INCI list of this cream is pretty long, but the bulk of the ingredients are in the middle: root extracts after root extracts. Some more familiar herbal ingredients to me include mistletoe and licorice; they are naturally skin-calming ingredients that can soothe, help with redness, even out complexion and act as anti-inflammatory. Especially licorice is a common ingredient in treating dark spots, pigmentation and dark undereye circles. I’m happy there are companies that combine the ancient wisdom with more technology, but I wish there was more articles to read about the herbal ingredients. For example, many Korean sheet masks with unfamiliar (to me) roots, barks and mushrooms have become my favorites, but I know little about the herbs themselves. In the future I wish I can research and share more about ‘hanbang’. Right now I can only speak from my personal user experience and honestly I’m very much enjoying ATOCLASSIC. The cream is certainly one of my favorites from the line as it pampers and plumps my very dry skin without any residue. I can’t speak about its soothing properties too much as my skin isn’t very sensitive. From experience I know some Korean medicinal lines with a lot of fermented ingredients can be too active and irritating if I’ve done a lot of exfoliation, but I’ve had no such problem with ATOCLASSIC. So if you’re sensitive and interested in K-beauty, maybe check out this brand? **This product was kindly gifted for consideration. All thoughts are honest and my own. Even if you're not a beauty enthusiast, most likely you have at least two skincare items in your cabinet: a cleanser and a daily moisturiser. Personally, I could name several enjoyable and effective cleansers worth of re-purchasing, but most day creams are nothing to write home about. I use one up and move forward. I went as far as thinking that a day cream or moisturiser doesn't even matter that much - as long as you're using a great essence and a serum or treatment, you're good to go. Just slap whatever on the top to seal them in. Then, I purchased January Labs lotion from Cult Beauty and fell in love, and later I got a generous package from January with her Revitalizing Day Cream. Time for testing! I was going to publish this review after I've chatted more with the founder of January Labs about her brand, but I could no longer contain my excitement about this product. January Labs is based in California and founded by January Olds, a licensed aesthetician and who has worked nearly 20 years in the beauty industry and studied ingredient technology. What I've chatted with her she seems very genuine, lovely person and very passionate about skincare. She thinks of her brand as a perfect combination of science and nature, which I can see in her product formulations: they're packed with the cleaned ingredients available, but expect to deliver results, skipping any harmful or unnecessary additives. Sounds like a winner combination to me. The January Labs Revitalizing Day Cream is 50ml and retails for $68.00 on their website and £51.00 (~56.90€) on Cult Beauty. The January Labs Revitalizing Day Cream is a very promising day cream - or lotion, if you will. Firstly, it's packed in a hygienic pump - no fingers or air gets in touch with the ingredients inside. I hate to pay a fortune for a luxurious cream in a jar and have the danger of oxidation every time I use it. January Labs' white plastic packaging also protects the inside from sunlight. It would be useful if you could somehow tell how much cream is left inside the packaging, but you can estimate by feeling its weight. The packaging is sturdy, simple, with a beautiful logo and typography. I think the pattern inside box is just adorable, I wish they had included more of it in the the actual packaging. The cream is more like a pale yellowish lotion. It spreads effortlessly and less than one pump is enough for my whole face. Don't I love pumps that distribute the perfect amount! The cream sinks in a matter of seconds, providing instant hydration and plumping effect to my skin. The feel on the skin is slightly tacky, but not overly so it would bother me. I will apply my heavy duty sunscreen afterwards anyway. There's a slight tingling sensation on my skin for a few minutes, which could be the Vitamin C in the cream according to January. The formula is rich in antioxidants and botanical ingredients from various plant and berry extracts that help to fight free radical damage. Niacimide, also known as Vitamin B, is a high up in the ingredient list and well known for its effectiveness in anti-ageing and brightening skin tone. Beta-glucan, a polysaccharide sugar from oats or yeast is a skin soothing agent and improvess the look of sensitive skin. As I suffer from redness and acne scaring (PIH), all these ingredients make me very pleased. Antioxidants and niacimide is just what I've wanted for my morning routine. According to COSDNA the other bulk of the ingredients are mainly moisturisers (such as plant oils) and and emollient ingredients. The formulation is perfume free but has a very light citrus scent to it, probably from the Citrus Aurantifolia Oil. Despite being a light lotion texture, I feel the Revitalizing Day Cream brings instant hydration and plumpness to my dry skin. I haven't had any dry patches despite the weather changing for colder and I find the name "revitalizing" feels quite accurate. I tend to use a lot of essences and hydrating toners, but it's this cream in my routine that feels the most moisturising and effective - alone or sealing in all the previous skincare steps. I love it how my skin feels bouncy, plump and fresh without one bit greasy residue after applying. January Labs Revitalizing Day Cream delivers what it promises, the formulation being a beautiful marriage between nature and science. This day cream is the product I am looking forward to use the most every morning. I'm almost out of my gifted bottle and I will definitely purchase this again and again. Have you tried anything from January Labs? This post contains product(s) that were generously provided for consideration. Regardless, my opinions are my own honest and unbiased views. The links are for your convenience and do not contain ads.